In March, I was finally able to run that half marathon I had deferred from last year. Was it worth it? The Sarasota Half Marathon starts in the dark, and the route immediately heads up the Ringling Bridge to Lido Key. Florida may be flat but they make up for that in bridges that go up to the sky, I think. Even tougher is the downhill. With the race, we ran around St Armand's Circle and back over that bridge. As usual, I went out too fast. It was very humid and I struggled. But I finished, PF and all, and was rewarded with a beautiful medal. I also got to meet Mary Beth, who was part of our bloggers weekend in Panama City Beach! The mother of all finisher medals, for me not only this year but overall, was the one from The Big Sur Marathon. I don't normally run races for bling, but this medal was coveted by me like none other. It's actually a handcrafted ceramic medallion, strung on a leather cord. Big Sur and that part of California is pretty boho, and this medallion captures that feeling. Big Sur was a race of a lifetime for me, a bucket list race, and to be able to run it was something I will never forget. Training was tough, with not nearly enough running as I continued to battle PF. 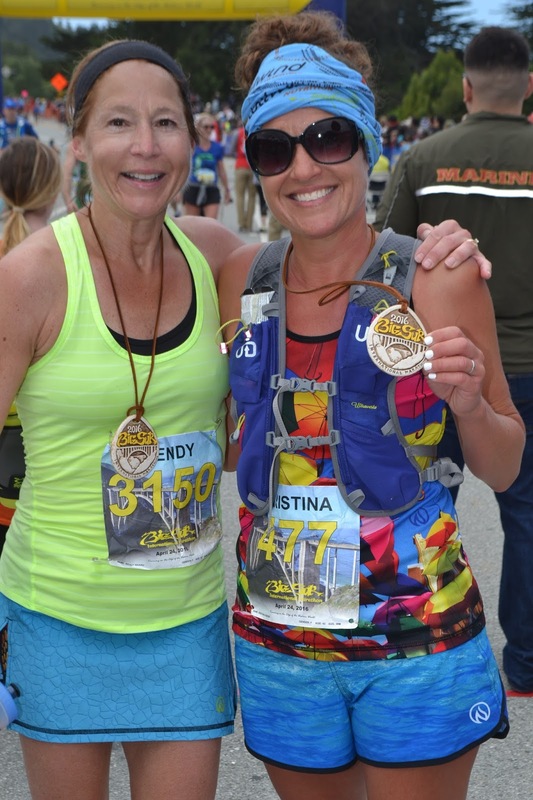 Kristina vowed to stick by my side and she did, running the entire race with me. We finished hand in hand and I sobbed as we crossed the finish line. Big Sur is not a race to PR, in my opinion. It is an experience that must be savored. This will be my forever favorite race and piece of bling. I look at it every day and it reminds me that dreams do come true. It also is a grateful reminder me of the man I've been married to for the last 28 years who lets me chase my dreams, but keeps me grounded. "Not a second honeymoon," he said. Wrong. It absolutely was. On Memorial Day, I ran a local 10k for Salute, Inc, a charity that benefits veterans and their families. This is a really low key, local affair, and there is no bling. 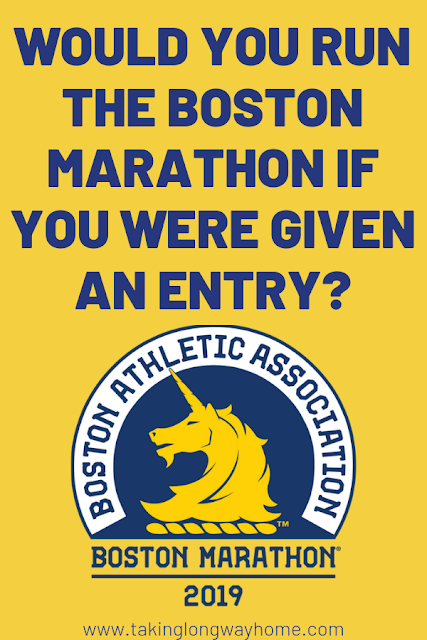 Unless you win an age group award, which I did! I had a lot of fun running this one fast and playing cat and mouse with another woman after mile 4. It's always fun to do well in your hometown and this race made me happy. 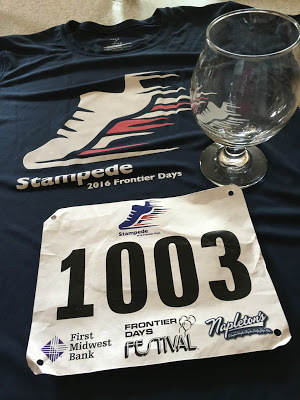 Another local holiday race, the Stampede, is run on the 4th of July. This is a larger field than the Salute 10k, but still no bling. For our AG awards, we received commemorative snifters! I always enjoy creative awards, and every year this race hands out something interesting. My last race of the year was that Panama City Beach half marathon that I ran a couple of weeks ago. I will always covet this bling for the memories of the weekend spent with a group of amazing women. The medal is so beachy and fun, and that is how I can describe my time there. I didn't run the race I trained for but once again I realized that finishing is indeed winning. Best advice ever. And having fun trumps all. In spite of injuries that kept me sidelined, I cannot complain about the booty I amassed this year. I'd have to say that for me, running races is really about quality over quantity. For me, running is also about the memories that each medal brings me when I look at it. I'm not sure what the future will bring as far as running goes, but I'm hoping next year to add a few more medals and memories to my growing collection! What was your year in racing like? What was your favorite medal of the past year? Was it because of the way it looks or because of how you earned it? 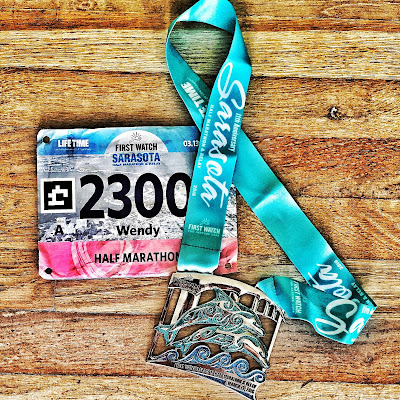 Do you run races for the bling? I'm of course linking up with DebRuns for Wednesday Word, which is decorate. And with the ladies of Coaches Corner, Debbie, Rachel, Lora, and Susie! 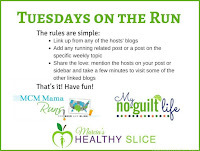 I'm also linking this post up with Courtney for her Year of Running link up! And finally, with Tuesdays on the Run--Marcia, Erica, and Patty are hosing a blingfest! Love this post idea! My kids take every medal I come home with, ask me if I won it for them, and it ends up in their toy bins. Haha - so god knows where mine even are at this point. I keep mine in a drawer. So sad. I did ask for a medal rack for Christmas--we'll see if I get one! Every medal has a memory, right? A story? I had a great year. Not many PRs but lots of races and #holottafun. All my medals are meaningful. I can't even pick a favorite. if I have to it would be my last two halfs - Ramblefest for fast and Panama City Beach for fun. Congrats on a super year inspite of those injuries. Hope 2017 treats you well and I get to meet up with you again. I can't even imagine if you recapped your year in bling! Your post would be a book! I need to do this! I didn't race a lot, but I did collect a little bling! I hope that 2017 brings good health, no injuries and lots more bling! Praying for that good health thing so I can collect more bling. And I didn't even mean to make that rhyme... but there you go! 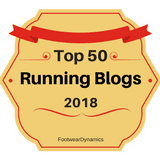 As always, what an uplift to read your blog post, to relive with you those golden moments of accomplishment and joy, the appreciation you have for all those who run with you. Here's a toast to all your bling and a wish that 2017 is a banner year in all ways. You already know how my 2016 running was; it sucked. Starting again at Christmas break. I hope to kick-start for 2017. 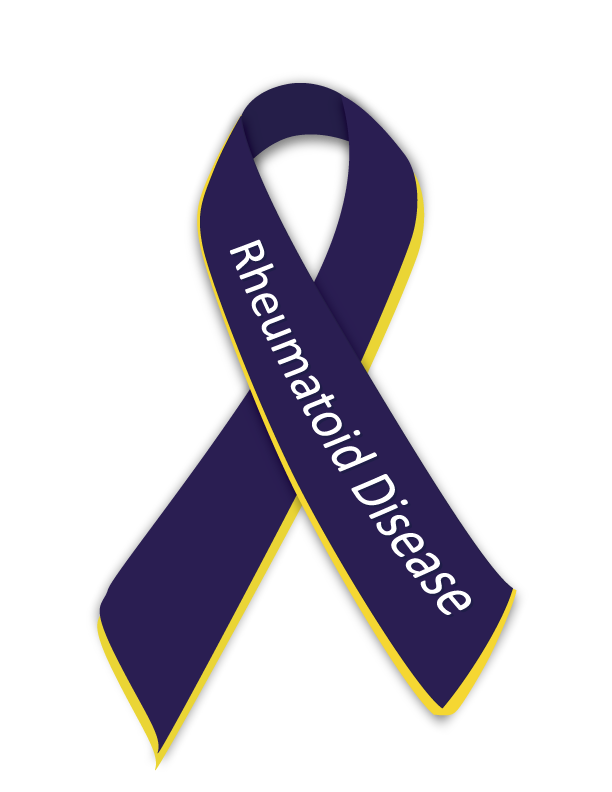 No races, no bling, just aching to run again. Onward and upward is my motto--trying to stay positive is always the goal! I hope 2017 brings good things for you as well. Just keep moving. You really fought through some injuries to have a great year of running! Congrats!!! That's what it's all about, right? Digging deep and finding what we have inside us! I can't believe it's already time to recap the freaking year. You've made it a good one, despite the obstacles. I'm still smiling from #Holottafun! Oh my gosh--THAT. I cannot believe we got to do that. Ho Lotta Fun! Bling is definitely a great motivation for running races, but not my only motivation. In years past I've focused on quantity over quality, but having a baby definitely forced me to switch that mindset this past year. And I'm so glad that I did. It definitely forces me to covet those race experiences in a very different way. It's all a delicate balance. Glad you were able to make it all work! I totally run for the bling. I signed up for Tink because I wanted that 10k medal. Both the race and medal were very successful. Disney does make it bling-worthy to do their races! This is great! I'd have to say my favourite bling has been my bobble head trophy from the Skagit Flats marathon. It's just so funny! I have it perched in my kitchen to the right of the sink. It's a bit creepy, but so am I.
I do love the odd awards I've gotten over the years. No bobble heads, tho! 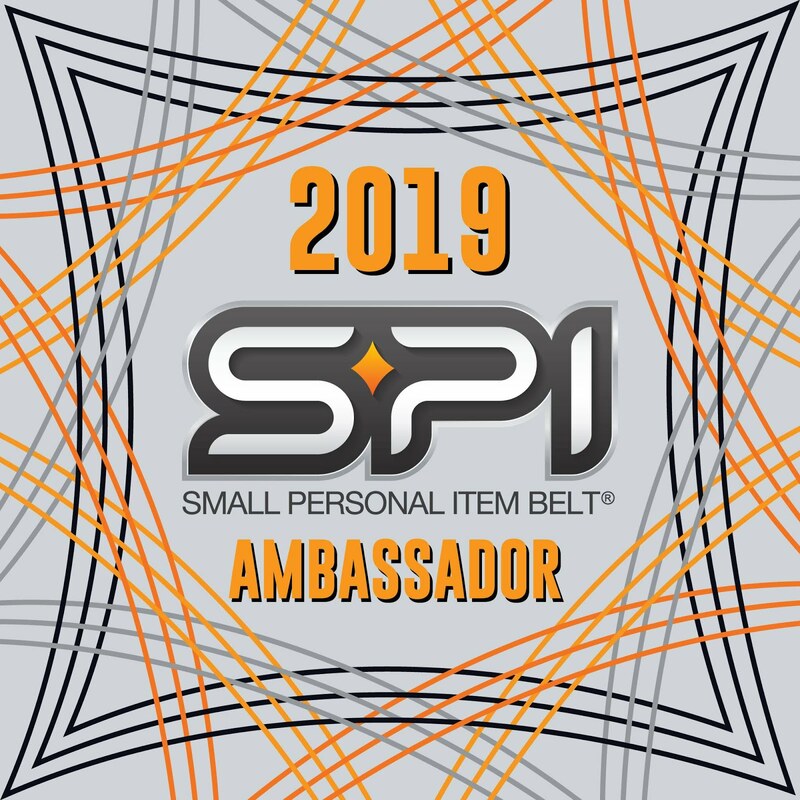 It took a long time of racing - nearly a year - for me to receive my first medal, so I'm kinda partial to them, still...that said, some are more favored over others (I love my Big Sur 10.6 miler medal as well - great memories, that race). And back in the days, there were no medals! Yep, Big Sur does it right! I loved this idea, I may have to try something similar- giving credit, of course! My best medal was Manchester marathon, just because race day was such an intense struggle. I can't wait to read about your bling! I like your take on today's Wednesday Word. 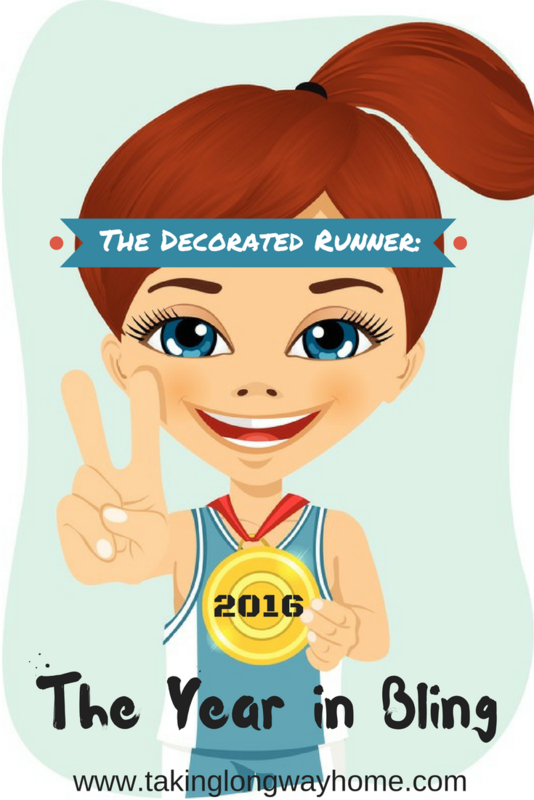 We average runners are pretty well decorated, mostly because these days we get a medal for just finishing a race, even a 5K. It is fun to look back at them and reminisce about the fun times! I think my favorite medal from this past year was the one I got on Sunday. It's a snowflake and is just really cute. It was a great race for me, so that makes it extra special. It's funny what makes a medal our favorite. Last year, I'd have said Chicago--even though it was nothing fancy because it represented what I was capable of, even on a bad day! Big Freaking Sur. It was your monument, your mountain (literally), and you conquered it, and with style. Your medals are gorgeous! I love a pretty piece of bling. There will never be a race like Big Sur again! People asked me if I would do it again and I say no, because there is nothing like the first time, right? What a cool idea! Looks like you got an amazing bling line-up this year. I got a pretty good haul and I think you've inspired me to share mine too! It is always because it is earned for me. I love that receive a memento to remind of the accomplishment and experiences. Would PCB have been as special if it weren't for #holottafun? Probably not! Beautiful Medals! You had great additions to your medals this year! And great races to go with them! And amazing memories of conquest! Way to go Wendy! You sure have some experiences! 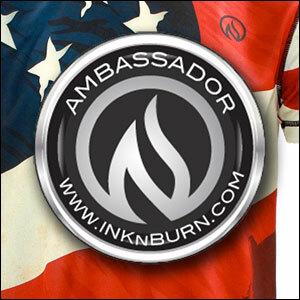 I dont run for the bling but either for an experince or to reach a goal. Reading this inspired me to figure out how I could get into Big Sur! That was the best race experience ever! Like you, the bling doesn't really motivate me.. but the other day my daughter pulled out all my medals and wanted to organize them and I realized how many do hold meaning for me! 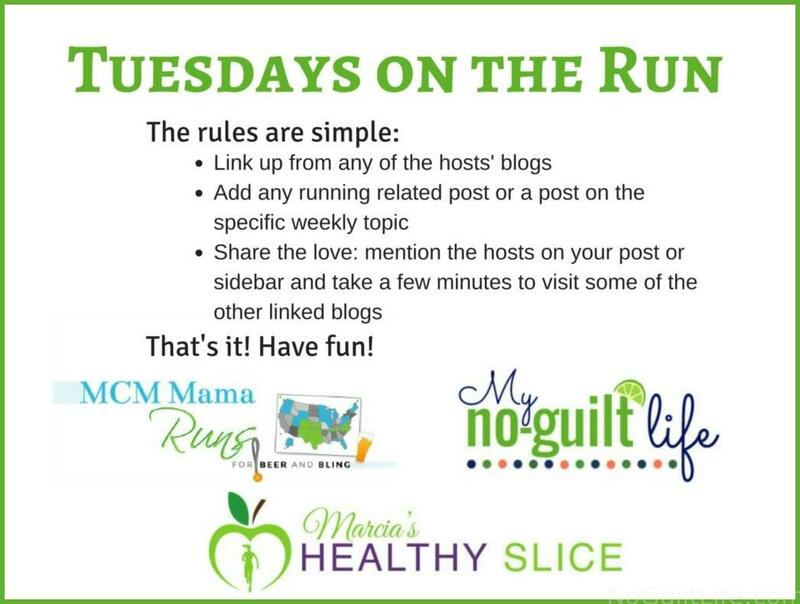 Love the idea of this post! I thought you did a lot more races than those....(?). Maybe I just assume everyone else is doing races every other week (because I do races every other week LOL). I really don't run races for the bling, but of course I enjoy nice bling as much as the next girl. And I do think I'd chose the same medal as you, for the same reasons. That one will always hold treasured memories! Here's hoping that everything can turn around for you and you have a much, much better 2017. I'm rooting for you -- you deserve it! Thank you--that means a ton. 2017 has to be better, right? I have more bling from cycling races that I volunteered at than running races I participated in this year! Sad, but true. Things just kinda fell apart in the second half this year. You know I don't run for bling but it's nice "icing on the cake" after a long hard effort. 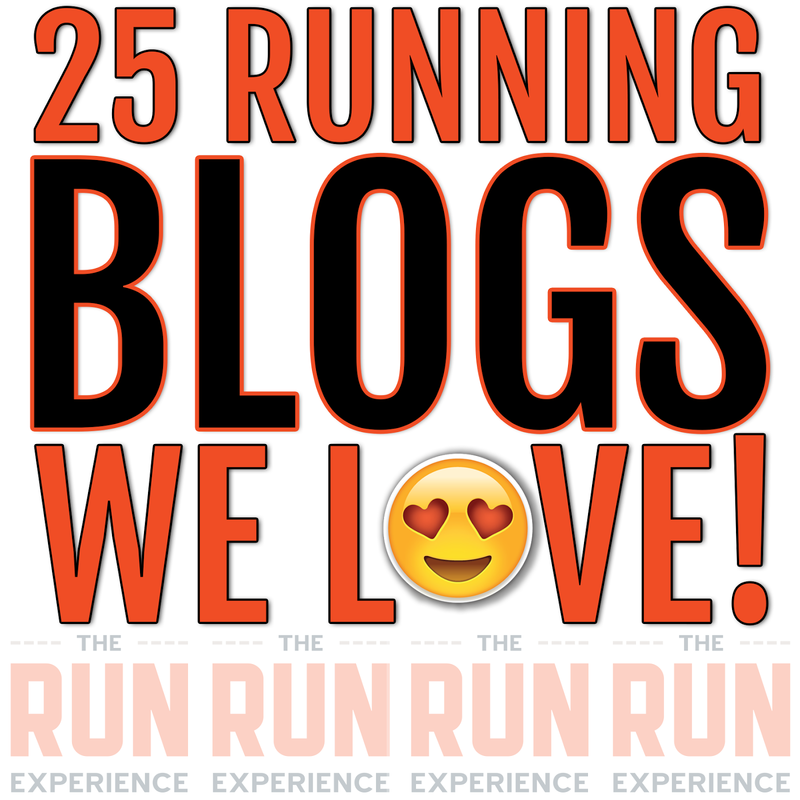 Every time I read about your Big Sur marathon it makes me smile SO BIG!!!! I'm so glad you had that experience and, of course, a weekend with like-minded women runner/bloggers should be a must!! Congratulations on a year well lived!!! There were so many lows this year but oh my gosh, the highs made them much less painful! I'm not sure anyone would be surprised my first marathon medal is my most prized piece of bling. Yes I do think it's a pretty sweet design but it represents just like your Big Sur one, so many miles, sweat, tears, emotions. Way more than an object could possibly hold. You have really had an amazing year and I'm so very glad I have gotten to see you through all of them this year. The icing was meeting you for sure! Seriously. In spite of a lot of lows this year, I cannot complain about my year of running. Yes, meeting you was the best way to top off the year! 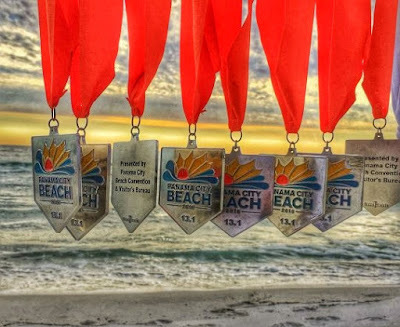 You had a great year and such a good story behind each medal earned--the good, the bad and the ugly! That is what makes running so special. Just when you think you know and have it figured out, you don't but that forces us to be dynamic and adapt! Excellent work, Wendy! I think you nailed it when you said running forces us to be dynamic and adapt! It's always a challenge and I'm never one to back down from that. Nice bling! I finally got a medal hangar last year. It's fun to see them all together. The ATM gives "coins" without ribbons so I can't hang those. I have a coin from Fort 2 Base. I'll have to figure that one out! I love this recap, medals mean so much and mostly they are there for the memories! Looks like you had a great year! When all is said and done, we have our memories, right? I'm glad mine are so much more than just the race. <3 <3 <3 Despite your injuries and hurdles, you have had an amazing year. I can imagine that Big Sur medal will always have a special place in your heart. 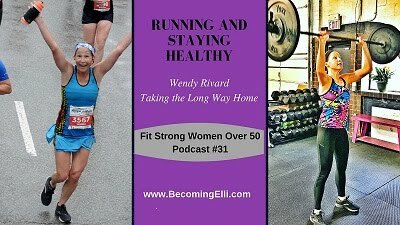 I did run a lot of races, but a big injury kept me from really excelling. The races were to build my confidence and get me back out there, and I am most proud of my Ragnar Trail bling. I fought hard for that with conditions I had never before experienced and never thought I could conquer. If it wasn't so sharp, I would probably sleep with it under my pillow. Haha! I get you on that special medal. You had a tough year too, but finished so strong. I bet 2017 brings good things for you! Look at all that bling! All the races I did this year were very meaningful for me, so I don't know how I'd pick a favorite medal. It wasn't hard--I mean look at that Big Sur medallion! I hope so! :) Altho 2016 brought me some pretty good memories. I know you had some ups and downs this year, but you made up for the downs with all the ups! Big Sur is such an amazing race. It's on my bucket list, for sure. What wonderful memories you made this year! If I focus on all the good of this year, there was just so much! I am so grateful. Amazing that you and I earned 2 of the same medals this year! Let's do it again :)! 100% agree! Let's find one for March! I'm even more jealous about Big Sur. What a year - even with injury you still had a great one. You are always an inspiration to me, Wendy! You are absolutely right. When I look at the year as a whole, it was a great year! You had a great year, even with your struggles with PF. Big Sur sounds amazing! It's hard for me to pick one favorite medal as they were all fought for under difference conditions and with different emotions. My year certainly was so different from where is started to where it's ending. It doesn't even seem like the same year. My year was like a roller coaster. The highs were amazing, the lows were ridiculous. Very very nice bling ! I fully enjoyed following your racing year and I am sure, despite RA, that 2017 will also be great. My best medal I think it Paris marathon.... I worked so hard for that damn race and was lucky to run the race I wanted to run. And you ever only have a first marathon once. I enjoyed every second. I actually think 2017 is going to be good. Now I have an answer for all my issues...hopefully I can stay on top of it. That Big Sur course looks amazing! 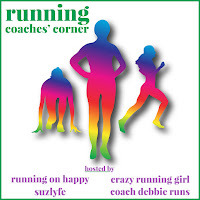 Congrats on the fantastic year of running! Thank you! Big Sur is amazing. What can I say? Congrats on your year, so many great medals! Big Sur looks like such an amazing experience, I would love to run it one day! Thank you! I hope you get to experience it. It was unforgettable! It's never too late to do Big Sur! I hope you get to experience it. I'm glad I did. 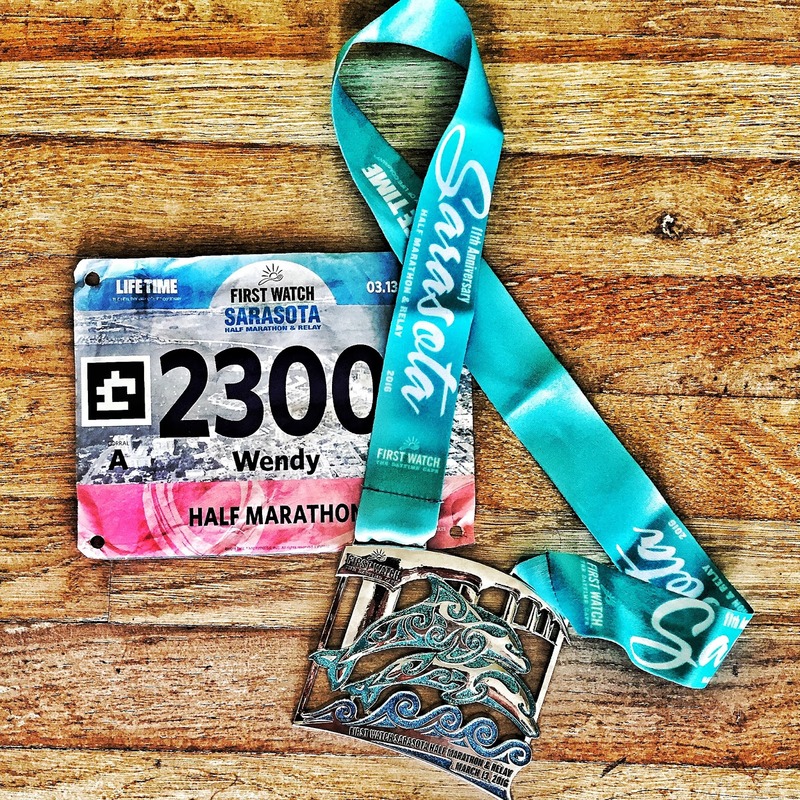 That Sarasota Half medal is gorgeous! I like getting medals, but I don't think I've ever chosen a race based on the bling. I do love unique awards from races, too (like the snifter you got). 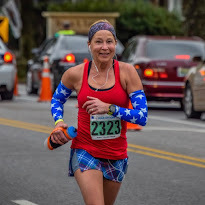 I did not run many races this year. 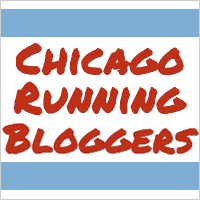 My main focus was the Chicago Marathon. Next year I want to train harder and PR in a few races. I think that's a great goal--but how do you train harder than you did, using Hanson's? Ooh, ouch! I hope you are back on the road soon!! !